For those who want quick, low cost Glasgow airport parking, Parkfast offers one of the best options. Simply arrive at the car park, find a space to park and catch the 5 minute transfer bus to the airport. You'll also get to keep your keys, so you know that your car is exactly where you left it. Transfers: The courtesy transfer bus takes just 5 minutes, run on demand, 24/7 and are included in the price. Security: Parkfast's CCTV will monitor your car while you're away. On arrival at Parkfast When you arrive at the car park, approach the automatic barrier and wait for it to lift. Find a bay to park in, unload and head to the bus stop for the 5 minute ride to the airport. 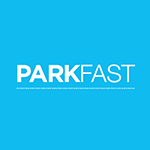 On return to Parkfast: Call 0141 280 6070 and select option 2 for the car park to let them know that you have landed. Head to bus stop 5 directly outside the arrivals hall and take the transfer bus back to the car park. Once there you can head straight to your car and leave via the automatic exit barrier. Please note: Maximum size of vehicle must fit one parking space. Trailers are not permitted. Glasgow Parkfast is a superb airport parking facility at Glasgow Airport. However, if it does not meet your requirements, Airparks can recommend a range of other superb Glasgow Airport parking options instead. All are covered by our Best Price Guarantee, so you can travel assured you are getting the best price for your airport parking.